Just your average everyday traveling musician! Trick or Treaters! Berry Punch had been looking forward to greeting them this Nightmare Night, and not just because her little Ruby was somewhere among their number. No, the burgundy mare was taking this opportunity to introduce and promote a new, experimental product, inspired by one of her daughter's lunchtime favorites. Normally not in the candy trade, Berry still fancied herself a dispenser of treats, though not usually of the sort that foals could partake of. Wines and fermented fruit beverages were her main stock in trade; though not apples, as competing with the resident masters of that fruit would be crazy in this town! She still made and sold normal juices for little colts and fillies on their way to school in the morning, packaged in boxes instead of bottles, which was where her idea came from... But that would have to wait until this first party was finished with Mister Candy Cane. A newcomer stallion to this town, it looked like. 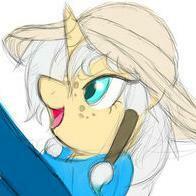 Rather cute too, if the earth pony mare's opinion counted for much. Opening the top half of her shop door, she leaned out to catch a glimpse of the party outside, orange candlelight from within outlining her costumed form in shadowed silhouette. She had chosen an outfit that, coincidentally, was remarkably similar to Spike's! Just a little darker in tone, less frills, and stockings designed to attract attention to equine legs and thighs. And unlike the poor young dragon, Berry did have the body to pull it off. "Ahahah, So wonderful to see all you lovely children here. Don't worry, momma will have treats for you when you're ready, even if you're.... only young at heart." She shot a wink at Discord and Cane in turn, leaning out of the open half-door. Big Mac trotted down the road feeling all the power of a pony princess! However, even though he felt this power he also felt a bit self conscious. "Hope I made the right choice..." He muttered quietly to himself as he carried on. NIghtmare Night was his one and only chance to sport a very special costume. 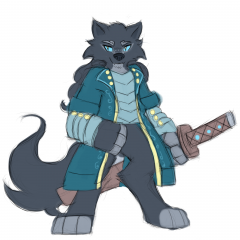 A costume that served as a replica from a magical invasion a few years hence. For the briefest of time in the best of dreams he himself had been a prince! An alicorn princess with all the royal trappings! It felt good to wear the crown and all the royal regalia. OF course he also had on a set of false wings and a false horn. It was quite the outfit and it had taken him quite a bit of time to fashion it. Mac was a hard worker, and very dedicated. He saw the project through till the end and he on a very realistic costume as a result of his time and effort. The only problem was, it was quite a feminine get up and he was quite a masculine stallion. He had lots of confidence in himself but this was a stretch even for him! Would others look at him funny? He didn't really care if they did but still... maybe he did care a little bit? "Nope!" He shook his head in defiance, being careful to keep his horn in place. He was going to pull this costume off! Up ahead he saw groups of trick-or-treaters going from home to home. He trotted closer, his eyes focusing on one group... was that...Spike? Apparently Big Mac wasn't the only one doing up the feminine side of things this Nightmare Night! There appeared to be more than one male leaning towards the mare side of things in the costume department! Perfect! But would they be interested in having him join the group? They looked like they were having a great time together! Was that...Discord? It was! "Yep!" His O&O group! Now he knew he'd be welcomed into the group. The twist in his gut untied as he trotted up Berry Punch's walkway. Clearing his throat, he greeted his friends and whoever else was there. "Howdy!" He flourished his wings and struck a pose! It was Nightmare Night after all! Why not go all out? 'Princess Luna' waved at the well dressed 'Spider-White-Rose' or White Spider Rose? Rose White Spider? "Of course! ", she replied. There was always room! Thankfully her friend Fast Track did not see this gal in her suit as he was mortified of spiders. Wait a second? Spike was CURSED? He was stuck with the costume? He could not take it off? That was a curse worse than a song verse sung by a nurse pulling a hearse! How could he use the little dragon's room? And deal with that smell? She had a few suggestions, but knew the clever dragon probably had tried them all, and more. Even with one of the greatest living spell-casters as his 'mom' and the very skilled curse-breaker Zecora not that far from where they stood...Had they all tried and failed? The filly knew she would not be as calm as Spike was if she faced such a terrible fate. She would also make an mental note to visit the zebra as she always had a few really cool SPOOOOOOKY stories to tell for Nightmare Night. "Thanks Mister Spike! ", she managed her best smile, but it was very obvious that she was a tad bit worried about the little purple dragon. Bound for life to dress as a sassy maid. Would the clothes grow up with him? From what she had read about, curses usually could not be zapped away, but there was usually a special trick to defeat such a magical misfortune. One that would mirror how he managed to get cursed in the first place! Usually there was a lesson involved as well. Poor Spike. One of Spike's friends tried his best to assure the dragon that his cursed costume was not that all embarrassing. And she agreed. It was nowhere near as awful as the sheep costume she was made to wear a few years ago. It might as well have been a curse. Thankfully an invasion of Changelings gave her a good excuse to ditch the wooly nightmare. Still, he was cursed. Maybe he could say he was Colonel Ponyncheon's maid who suffered an curse alongside the doomed family in the beloved book, 'The House Of Seven Stables'. The filly smiled back at the Orange. Hopefully feeling positive would defeat the curse. And there was also this Kiren gal... "We should get you some sort of costume. Don't want Nightmare Moon to see that you're a pon...er..Kiren and then gobble you up! You need to be in disguise.." The original idea was that ponies would dress up to 'fool' the 'Dark Queen Of The Night' into not eating them. 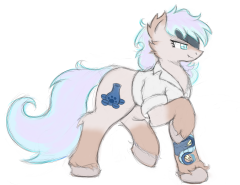 But would a pony who dressed up as a doctor fool Nightmare Moon? Probably not, but it was fun to dress up for one night! There was also a Nightmare Moon statue ponies would offer candy so she would eat that instead of them. "Well, we could always stop over at Mister Masquerade's booth if you want...I'd let you borrow my hat, but it probably would be too small for yah." And there was the candy-stallion. For such a small village, Ponyville had a rather large collection of those who made and sold candy. This, Wind Walker had no problem with. Not at all. "Hey Mister Cain. ", the filly spoke up. "Maybe instead of making candy for us...Maybe you should make something fun for each pony that gives us candy? So when we knock at the door, when whoever gives us candy...You can in turn give them something special? Eh? ", she held up her front legs, "What do you say?" They were at the first door. "Trick or Treat, smell our hooves, give us something we all approves! ", the filly shouted, thankfully in her normal voice. It was Piña Colada's big sister behind this door, Berry Punch! The filly held out her bag in anticipation! Oh boy, it was happening. Finally. It was that time of year again in Equestria, and Candy Cain was more than prepared for it. The pink-haired colt was okay with creating and giving out candy creations any time of year, really. After all, he loved seeing their reactions, their sparkling eyes and laughs. He lived for that. But tonight, though, everyone would be coming down to town to go Trick-or-Treating. It was Cain's time to shine. Candy Cain was currently setting up his 'cart' (a large covered wagon full of his supplies and other things to create candy and entertainment on any day) with only a slight amount of difficulty. The darn tarp wasn't going up right. Cain sighed and used a wave of magic, levitating the sheet and its poles. It all game together with a series of clanks. Perfect. With the front of his cart (structurally) ready, Cain proceeded to decorate the thing with spooky accessories he had inside. Cobwebs, spiders, and a couple jack-o-lanterns for effect right up front. Perfect. For now, at least. Cain could modify it later. He whistled to himself cheerfully as he worked. Eventually, everything was ready. Or, almost everything. Cain closed his eyes and concentrated, generating a faint cloud of candy-scented air. That would be sure to draw them in when they got there. The only speed bump was actually meeting them. He could deal with that later as well. He finished the tune with an evil laugh, wandering back around and into the cart. Of course, it was spacious enough for him to fit inside and work on his candy creations. He got to work setting up jars of sugar, natural dyes, and other ingredients. No need for anything so formal as frames or plans today. It was all about imagination. The only time Cain got even more hyped was for the end of the year. But that's another story. For now, he waited, adjusting his costume a bit. Cain had decided to go as a sort of skeleton, painting the skinny frame and everything all over, save his vibrant, pink hair. He thought it was a nice touch to the dull colors of black and white. Finally, everything was set. Cain inhaled, and shouted as loud as he could. "HAPPY NIGHTMARE NIGHT, FOLKS!" He chuckled. No one could miss him now. He wasn't directly at the front of town, he was more around the center, where he could preform his works. It was only a matter of time before they arrived. . .! He always got giddy by then. Having some what sort out his problem with his mane in his face. Heart Shield galloped on along the path, Seeing a path on the left He darted down it. The path he had chosen seemed to be a bit of bad choice. The path was narrow, and completely covered in leaves which hide the puddles of sap, Broken branches lie on the path. 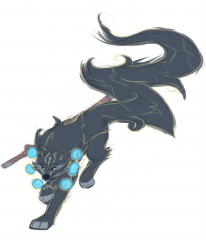 Huffing along Heart Shield continued in his gallop along the narrow path, Leaping and bounding over obstacles. "I never should have went this way!" He said to himself trying to avoid puddles of sap that he couldn't see. Eventually it lead back to the main trail. Sighing in relief Heart Shield looked behind him. No one was there, Ahead of him he could see some ponies. He focused in on the ponies he could see. There was a pink colored pony, and a griffon up ahead in the far distance. It appeared there was some sort of stand ahead. He wouldn't let that distract him, They where still quite a distance away. This was no time to be taking in the sights as much as he would like to, there was still the problem of sap puddles everywhere. Applejack lowered her center of gravity, and leaned with Coloratura for stability as the bridge became an impromptu river raft. As they headed downstream, the ponies would start to drift further and further from the race path, losing more and more time. "We just need to jump it, Ra-Ra. We're close enough to the river bank. We just need to promise each other that if one of us doesn't make the jump, the other will use the rope to pull them in." Before she could entertain the possibility that neither of them make it, Applejack counted down. "One. Two. Three!" Applejack heaved to the bank and pulled herself through the muddy grass. She turned around to see Coloratura bracing the waves, the rope erect and tugging the mare's weight against Applejack's. "Nope, not gonna happen." Applejack grasps onto the rope and begins to pull as hard as she can, attempting to gain leverage on the slippery banks. "I'm not letting no angry river take my friend away." Slowly but surely, she pulled Coloratura closer to the bank until the musical mare could cling to the bank herself. Once they were both safe, Applejack fell backwards and caught her breath for a few seconds. "Two hundred, Ra-Ra." Applejack got up, wiped the mud and excess water from her hat, and put it back on. "Two hundred bits outta build us a new bridge." Applejack smiled at her fillyfriend and started to trot, gained speed, and began running again. Ra-Ra found herself momentarily apprehensive. Not of the danger involved- she was certain that between Applejack, the other racers, and whatever safety measures existed downstream, she would survive and thrive. She didn't think she was in any deep trouble, no. But she was a little worried about ruining Applejack's chances at winning. The august mare had done so much for so many, yet what little Ra-Ra had known before their reunion told her that she had suffered greatly Ra-Ra didn't want to be the cause of her friend losing something else. But Applejack was, as usual, her confident self and she encouraged Ra-Ra to head down the bridge. She did so with full knowledge that it was rickety and less than stable, but most likely going to sustain itself for a moment or two longer than needed. While no great bit of confidence, she allowed herself to operate with the belief that it would be enough. And so she took a few steps, a gentle trot on old wood, as Applejack allowed her confidence to stream out of her. It had an undesirable effect. Few ponies could match the voice control of Coloratura, and the nervousness and doubt that seemed to reside in her friend were not assuring. Still, all seemed well enough until one of the wooden pieces broke. Applejack hadn't risked a fall into the water, but it definitely brought Ra-Ra's concerns more into the immediacy. "Applejack-!" The musical mare cried out, though it was more of a strained whisper. "Are you sure you want to continue...?" She asked, looking around. Others had started to join. That grey stallion was coming up right behind them, as was the Griffoness. She was worried about her friend, but she was always worried about the slowly unfolding disaster that could happen if they were to be the first to fall on a collapsing bridge. Applejack could take care of herself and likely Ra-Ra, but with four ponies, could she really be so certain of their safety? Applejack's eyes slowly started to widen, her smirk flattening. "I will explain in full detail how sure I am once we get to the other side. But right now you need to come on this here bridge so we can start moving across it." The stark contrast between not running and not moving was paramount for Applejack at this moment. Ra-Ra was already walking towards her friend, even before she had been alarmed by Applejack's partial collapse of the bridge. It didn't help that being somepony who lived and died by voice control that she could tell just how much slowly rising worry was being concealed behind Applejack's strong core. She complied, keeping herself loose in the process. "Applejack, it would be a shame if I had to spend a lot of bits on getting this bridge fixed and not getting you some nice, golden horseshoes. Speaking of, you ever have told me if you wanted them..." she trailed off, allowing the pregnant pause to invite Applejack to a topic not as immediately concerning as the bridge. Applejack heard her friend very clear. However, the orange mare's stubborn selective hearing would leave out the parts that didn't interest Applejack immediately. "Why would you have to spend money on the bridge? You know, just because you're a rich, famous," she took a step, "talented, resourceful pony who has a huge," Applejack wobbled as she spoke, "heart for charity, doesn't mean you gotta throw bits," she took another step, "at e'erything that needs fixin'." She never could trap her friend into whether or not she wanted some golden horseshoes? At some point, she would take measurements. Things would get awkward but that was fine. She had dealt with enough fans that social interactions being weird seemed secondhoof. She followed Applejack hoof by hoof, even a little faster than her friend so they could remain close. "Bits going for a," she stepped over a gap, "worthy cause are better than bits being spent otherwise, are they not? Besides," she said, sidling up completely next to her friend, finally closing the distance gap entirely, "we've always been good at fixing things, haven't we?" Seeing that the rope had slacked gave Applejack encouragement to go further. That is, encouragement that Coloratura was close behind and not because Applejack was terrified. Although, any self-respecting earth pony would not choose this situation most days. "You know as well as I do, hemptf" she lunged for the next plank, "that money doesn't solve everything." She took a short breather while her partner followed steps, and she noticed the rapids picking up water much more at the midpoint of the bridge. The water started annoyingly hitting Applejack in the face, causing her to look away from it, but she spoke in jest. "Remember that water slide at Camp Friendship?" She took a step. "Where fillies would ride down it into the lake?" Applejack checked the rope to make sure the water hadn't caused it to loosen. "You were always too scared to ride it, 'member? But you love standing on the deck at the bottom so that the water would splash you every time a boat came sliding down, heh." Applejack took a step and looked back, looked at Coloratura, but also noticed there was more bridge behind them than in front of them. Ra-Ra laughed, though she told herself it was in no way related to worry once the water started to act more violently. She was never somepony who shied away from active water, that was true. But she had one key advantage that Applejack forgot. "Oh, I don't think I was scared to ride it, at least I don't remember being afraid of the ride itself," she said as a gout of water burst up and drenched her, her wet mane falling at the side. "I just remember a certain filly almost drowning the first time she used it because she hadn't learned to swim just yet," Ra-Ra allowed her words to trail for a second as she took stock of their position. It was good. Really good. But the water was getting violent and she could feel bits and pieces of the bridge starting to uproot. Anypony with a sense of self-preservation would be concerned, but she believed they would get past it fast. 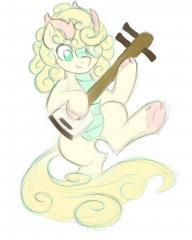 "If I remember, she had a blonde mane, some adorable freckles, and played a pretty decent guitar..." Applejack chuckled at Ra-Ra's explanation. "Oh yeah, heh heh, I remember that gal." She took another step, this one more playful than those previous. "She also had one of the best friends, too. And if I remember right, she had a nice violet and blue curly mane, beautiful turquoise eyes, and the most pleasant singing voice I had ever heard!" Applejack paused again and looked at Coloratura, her mane wet as ever, but smiles fully cracked. "Those two ponies were the best of friends." Kerplack! Applejack's hindquarters fell through the bridge as a large piece of wood from it snapped and drifted downstream. She fell halfway through the bridge and halfway into the violent whitewater, as the water had almost matched the bridge's clearance. Her front hooves were grasping at the step she took previously. Ra-Ra wasted not a moment and jumped next to her friend, weakening the bridge even further. She instinctively grabbed ahold of Applejack's front legs and pulled on them, trying to pull her ahead of the collapsed portion. She grunted with the effort but she was, in the end, an Earth pony and they all had reserves of strength, even the daintier ones. With one mighty heave she pulled Applejack up, clear of the water- and then she fell backward. 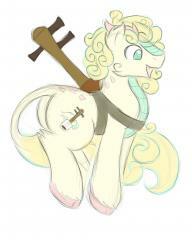 Ra-Ra fell on her back with Applejack on top, the bridge underneath cracking under their combined weight. Applejack took heavy breaths, for the purpose of instinctual preparation of being dragged underwater by the currents. As Coloratura used her strength to help Applejack, the bridge started to crackle in many places, and the apple pony took immediate notice. "We need to move, NOW!" She carefully helped Coloratura up from under her and jumped over the missing plank, caution be damned. "We're almost there, just jump the last step if you have to. This bridge is about to get washed, and I don't mean clean." She started briskly walking across the rest of the bridge, attempting to keep Ra-Ra at her heel instead of a few steps behind. As she did so the bridge finally gave away. It became detached from the start and end, with a sudden surge dropping Ra-Ra to her knees- she got back up a moment later as one more plank gave away, leading her too get as close as possible to Applejack. The Griffoness and the stallion she had been told to be concerned about were making good times themselves. Ra-Ra kept an eye on them always happy to see friendships seemingly forming out of the blue. Something was off about the stallion Applejack had called Discord. Was it a nickname to go along with a chaotic personality, or was he really some sort of spirit of chaos incarnate? She didn't know. But she did know that they were all stuck on this bridge together as it started to move downstream. “Okay, now what?” She asked, remaining calm. At least they knew where they stood now! OOC- The bridge shakes, shatters, and breaks for good, heading downstream slowly. It means nopony is gaining points, but there is still time to get to the other side of the riverbank before points are lost! Riverhippo provided Applejack for this post. OOC: Pinkie will be taking the high ground, not jumping! Pinkie was so super duper excited to meet this fellow! She loved meeting ponies and others from far off places. It was exciting, and interesting! She loved to learn all about other cultures and at the moment she didn't know much at all about Neighpon! There was so much she could find out from getting to know Taira! She already knew they were going to be just the best of friends. "It's great to meet you Taira! Well... Taira-san actually!" She did know that adding san after somepony's name meant you were friends. If there was one thing Pinkie could speak in almost any language it was friendship! As he spoke of taking the high road and having Gummy along for the ride she bounced extra high in anticipation! "Gummy's going to have so much fun hitching a ride with you!" She nodded at her scaly friend. "Where The Gator goes, I go too!" An umbrella hat suddenly appeared on her head as big old rain drops started to fall in earnest! She was happy to have the kirin shield some of the water from her. Yep, he was already a good friend! She could just tell! "Looks like we get to stick together for this leg of the race Taira!" She glanced up at the sky as hugely big bruised and blackened clouds covered the rest of the sky. The rain quickly started coming down faster! "We better head for the high ground quick! Gummy doesn't know how to swim do ya?" The gator eyed her, one pupil rolling off at an odd angle as he did so. The water started rising even higher out of what had once been a tiny little brook. "Hey Taira? How fast can a kirin run?" She nudged him playfully and took off at full tilt towards the higher pass of the roiling river! The runners swiftly galloped through the light forest, turning around farm ends, circling around the occasional boulder, not tripping over the sudden stump in the middle of the path. Applejack was so familiar with this part of the country that she could almost run it with her eyes closed. Which she did so inadvertently as raindrops started smacking her in the face. It started pouring. Applejack had known that there was cloud misconstruction today, as it said in the morning newspaper. Typically the town of Ponyville orders a few hours of gusts the night before the Running of the Leaves to weaken some of the leaves from their stems. 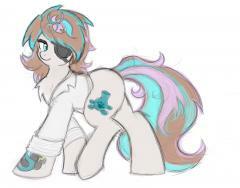 Looks like somepony accidentally spilt in raincloud powder. "Consarnit, if I had a bit for every time the weather was misplaced around here, I could afford hurricane insurance for the farm!" Applejack decided to wait up for Coloratura. She knew that what was coming next would be a challenge to a new runner. Bubbling Brook was always the first hazard of the trek, and by sheer chance, it just happened to be at the time of a downpour flowing through a cheap bridge over a unforgiving stream. She knew that for the most part Ra-Ra could handle herself in a storm, but that she might need a little guidance and encouragement. When they were little, they got along so well together at Camp Friendship because of how little they both cared about getting a little wet or dirty. One time, after Applejack and Coloratura lost a tug-o-war match and got muddy, they both laughed it off, but both wondered what they were to do with the muddy clothes they had. Applejack offered that they should just jump in the lake, but Coloratura was apprehensive. Before they jumped into the lake together, a young Applejack smiled at her camp friend knowing that they would be fine and said, "Trust me?" And seconds later the fillies were splashing playfully without fear. Towards the end of camp, Applejack wanted to play a song she had written and thought Coloratura should sing it. But her friend was really nervous. Even Applejack was a little scared to get on stage to present, but she knew that their performance would be good so she encouraged Coloratura before they got on stage to help ease the tension. "Trust me?" The duo would then perform one of best shows of talent that year. Applejack had her moments with almost everypony; she was good at being friendly with practically the whole country. But there were a select few that Applejack had a special connection with. And with her foalhood friend Ra-Ra in the race, she knew that it would be best to stick with her during the toughest moments of the race. When the pop star approached, Applejack with her wet hat and wet hair was standing at the fork. "Hey! Ra-Ra! I want to help you cross this bridge here. I know it looks chancy, but I've done this before. The stream can sweep you away but the bridge should hold. And if it doesn't I have a contingency." Applejack pulled out from under her hat a standard rope. She tied the rope around her abdomen. "If we're tied together when we cross, we can anchor for each other to keep from being swept away. Don't worry, it looks violent, but it ain't that deep. A few seconds of running across a watery bridge, and we'll be in the clear." She tied the other end a loop for her friend to slip into and held it up. Applejack stared at Coloratura, the rain streaking from the brim of her hat. "Trust me?" Heart Shield Had entered the race a bit late, but his guard post in Canterlot had keep him from entering. He had finally had a day off and decided to join in even if he was a little late. He traveled to the Whitetail woods where he would join in with the race. Approaching the path at a slow trod, a pack of ponies galloped past him on the trail. Breaking out in a Gallop, Heart Shield attempted to catch up. It was nice to have that heavy armor off of him for once and enjoy the freedom. He galloped along a brisk pace getting warmed up and enjoying the view. The sound of the birds, the gentle breeze and soft falling of leaves. Not all was so nice tho, sticky sap was everywhere. "It would be embarrassing to get stuck in that" Heart Shield thought. Focusing on the path he broke in to full gallop churning the leaves on the path. He could see a pack of ponies in the distance, but he still had a lot of ground to gain. He was enjoying the view but right now he had to focus on winning, and not getting stuck. just partway into the run his ponytail come loose letting his lengthy mane flow everywhere. Including in his face. Blowing to try to keep the hair out of his eyes he pressed on as fast as he could. "Don't ya worry none now Miss. Pie, there will be plenty to go around" Boulder Dash said with a big grin. Keeping pace with his Kirin running partner he built up his speed and his ran towards the jump point, as it came up he bent down and launched himself like a rocket towards the edge. "YEEEEEEEEHHHHHHAAAAWWWWWW!" he shouted as he landed with a heavy thud on the other side if the ravine with Taira, the ground cracking under his bulk as he landed. However his cry of joy turned to shock when he heard Pinkie Pie cry out and gasped as he saw her slide to the edge. That turned to amazement as he watched Taira save Pinkie and he walked over with a grin on his face. "Well butter ma backside on call me a biscuit! Fancy trick there ya got" he said as he offered a hoof to Pinkie Pie helping her up. "We started together, so let's all finish together" he said with a a kind smile. Boulder Dash followed close behind the leaders of the race. He kept his pace and made sure his breathing was regulated as he maintained the distance between himself and Applejack and Ra-Ra. Soon the bubbling Brook was coming up, an strict obstacle if there ever was one. Boulder Dash watched the as Taira and Pinkie Pie made a dash for the hill top and he nodded in approval as they ran up the hill side As such he chose to follow the two, fearful that his weight would cause the bridge to break. He decided to let the Mares take the bridge while he ran up the hill side and using his strong fast front hoofs he picked up his pace and soon he had caught up with Pinkie Pie and Taira. "A work out? Dis here is another day on the farm for me good sir!" he said as he reached neck and neck with Taira. "Regardless of how this ends, I got hot freid green tomater sandwiches and cold Bloody Mary's at the finish line with yer name on it Taira. But I'm not making it easy on ya" Boulder Dash said with a smirk on his face. The easily beguiled spirit, given to distracts of such, turned a head to the field to find his fan section. Well he wouldn't mind making a habit out of this. He wondered if he won would he gain more of a following? Reaching a hoof up to brush back his mane, the spiky mess that it was. The grumpy, old stallion was already the most handsome here, why wouldn't he have the biggest section? In fact it was quite queer that there weren't throngs of ponies already cheering for him. His brow quirked before all four hooves clapped to the ground, having had only that moment where none of his toes touched to soil. Resuming his trot he let his horn light with the glow of his uniquely colored magic and filled a few bleachers with copies of Discords all holding banners, flags, and wearing matching jerseys depicting the grey magician. He smirked and puffed his chest out. "For such a wide load, you certainly haven't got the crowd on your side!" He spat before he resumed skipping along. He would take note of a rather lithe looking griffon. The sort was surprising given that he was unaware of any monetary prize and, what was more, is that wings and magic were two things renounced by this Earth Pony tradition. He supposed it made sense for Applejack to go what was it she said? Hog-wild, during such an event. He did not recognize Coloratura, but he wasn't one hip to the pony world of fashion and bourgeois. He supposed it suffice to say he has seen her, that is what was cool now right? Never meeting a pony and learning about them. Also something involving rampant photography while hidden in their bushes... It seemed Icy was to join the fun which, he had not expected given her new position had left her far less fun and busier than the Apple in question! Tempting thing to tarnish. He would be sure to interfere with her at some other time. Bouncing along his ears perked when he caught the red ruby Fire Walker giving in his form a peep whilst about with the pink bit of candy gal. Wiggling his brow the stallion cocked his head. Certainly she recalled him, the grumpy old magician. No the outfit wasn't complete was it? He looked forward and with a pop and spark a raccoon appeared atop his loony crown. It looks to had fall from the trees in its surprise! And what was an event without Squall taking Discord's attention away?! But now was his chance! Be it wholly by accident, or by the Star's will the dark-furred spirit tripped! Boulder Dash's calamity lent in on the whole parade of show for the spirit tumbled forward and sent the raccoon flying in hopes if would land and latch to the kirin ahead of him. Pushing to his hooves and a bit of faux dusting off the disguised spirit resumed his manic trotting as if nothing at all, had occurred. Ho ho ho! It was hard to really make heads or tails of the gray stallion. He had the bite and wording of an older, angrier stallion. Her trained eyes caught some manner of dancer- no, a cheerleader- in the stands, sharing the cutie mark in her celebrations- and it made her wonder just who this stallion was. he seemed to take issue with a kirin who had arrived. A tall, broad creature at his smallest, the Kirin had taken up position in front of the stallion and after falling back to exchange words, took off again. She wasn't sure what was shared but it seemed that the competition, friendly at its core, could engender some manner of disagreement nonetheless. Rara watched how the stallion would respond, taken as she was with the slight melodrama playing out right then and there. There was less melodrama with a well-built red mare who was running, growling, and striking a fierce presence. Rara made sure to give her space. She wasn't entirely certain if it was just the aptly named game face or if it was something more, but she wasn't entirely sure that she wanted to know more. She knew from her backup dancers that sometimes the most physically fit amongst the group had to really delve deep to want to push for something more than their standard, as high as it was. Was there another factor pushing her for more? There may be. Maybe she wanted to impress that hunk of a stallion who had dramatically entered from his own airship up above? Rara enjoyed that entrance- pomp and circumstance was part and parcel of her Countess tours, after all. She wasn't sure why he felt the need to do so for such a small event, but she'd be lying if she said she wasn't plumbing her mind of knowledge regarding who own airships to try and place him, It was an exciting development, at least. Coloratura pulled back on the reins, slowing herself down to a healthy trot to keep with the pack and stick closer to Applejack. Around that time you could almost feel the ol' country exultation of yeehaw come blasting out of several locals, including a block of a stallion who had the look of a local. Both he and Applejack maintained a sense of the local country flavor that made this town so rich in tradition and sheer friendliness. Not to be outdone, Pinkie Pie was part of it, adding a level of energy and enjoyment that would be hard to match for anypony else today. “Wow, look at this crop of ponies, Applejack. 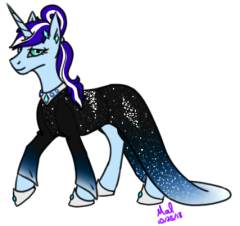 This event...sure does bring out all types, doesn't it?” Coloratura said while cantering alongside the pack at a brisk, but not breakneck, pace. They were joined in no short order by a griffon of all creatures, who sidled up to the mares with the familiarity of a fast friend. She introduced himself as Hawke. “Hello Hawke! 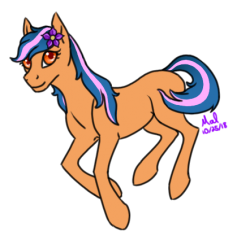 I am Coloiratura, nice to meet you,” she said, seeing a few ponies starting to pick the pace up ever so slowly and doing so herself. Earlier Today: The Running of the Leaves huh? A griffoness looked over the flier she found. Hawke Dreamcrest, the griff, the myth, the legend, had just so happened to have been cruising through Ponyville enjoying the first days of fall when the particular parchment plastered itself across her peripheral. Hawke managed to stop herself from crashing into a tree by a split second to look it over. From the sound of it, it was an annual Ponyville race through the Whitetail Wood! The griffon hadn't even heard of something like this. But that was to be expected, she wasn't a common fixture in Ponyville, nor was there much discussion of Pony traditions in griffon lands. Regardless of that, if it was a race of any sort, she wanted in! She didn't like to brag...much...but speed pretty much was her middle name. Middle name accuracy aside, the griffoness wasted no time in zipping over to the sign up area to jot her name across that sheet. It was at this point that the rules were explained to her. C'mon, it was a race, like she hadn't heard race rules before an-Wait no flying? Really? Hawke glanced back at her winds and sighed. That sounded really boring to be honest, but she had already signed up now. And if there was one thing Hawke Dreamcrest didn't do, it was back down from a reasonable challenge. Rather than going for the idea of trying her wings down — I mean really, how barbaric? — Hawke instead would take a detour into Ponyville before the race began. Sure somecreature would have a more comfortable way to bind her wings. Now: It was few moments before the race began and Hawke had just barely made it to the starting line. After a quick talk with a costume maker in town, the griffoness had managed to score a surprisingly comfortable skintight binder that both kept her wings snug at her side, and looked rad in the bright yellow with black racing stripes. The guy certainly knew what he was doing. Placing her number, 83, over her sides, Hawke would take her place at the starting line and look over her fellow competitors as the race coordinator spoke. Ponies and ponies and ponies and ponies. Mostly ponies, quite a few attractive ones too. Well it wasn't like she expected anything different. It was Ponyville after all. There were a few other creatures in the stands though it looked like. Students to that Friendship School probably. That's fine! If she ended up winning, she'd probably be the first griffon to win the Running of the Leaves...Not that she knew of any of the past winners, but hey. It made for good motivation. As the countdown drew closer, Hawke let her body tense in preparation. She couldn't start out of the gate at full tilt, this was a distance race, not a speed race. Burning yourself out in the first hundred would cement you for last. Brisk but not breakneck. She could do both sure, but without flight to back her up, she was a little hampered. A little. The spotted hind paws of her feline half dug into the ground. A low rumbling purr could be heard by those near her. She lived for this kind of thing. "Get Ready." Her talons gripped the ground. "Get Set." Pupils constricted and eyes locked forward. A sharp whistle breaks the still sound of the rustling leaves, and the next moment is filled with stampeding hooves with the griffoness' own paws and talons adding to cacophonous mix as she bolted forward past a few competitors. "Good luck to all of you!~" she would offer to the collection she passed a swishing tail was the next thing they managed to see in front of them. As Hawke gained ground, she would catch up to a pair of lovely mares keeping pace with one another. The griffon recalled mention of this being a friendly race so...why not be friendly! "Hey there ladies." she said as she gave a little wave of her tail and smile to both Applejack and Coloratura. "I hope I'm not interrupting anything. Name's Hawke Dreamcrest, it's nice to meet you two!" it never hurt getting to know your competitors. It made races more fun, less impersonal. "He he heeeeeeee!" The pink one squealed as she bounded towards the starting line! "This is gonna be so much funny fun fun!" Containing herself was not a strong suit of the number one Party Pony and the Running of the Leaves seemed to be just that to her...a big PARTY! "Whose ready to PARTY!" She shouted through a megaphone, pumping up the crowd in the stands. "I mean whose ready to have a running party?!" She cocked her head. "I mean actually a running, dodging who knows what kinds of danger, through the swamps and plains and Celestia knows what else... um party...?" The words slipped away. "Wait a second! This doesn't sound like a-" She was cut off as the race officially started. Pinkie found herself caught up in the jostle of racers at the start. They all seemed to be taking this so seriously! Soon they had all past her and she was left coughing in their dust. "Wow! Cough hack! These are some hack serious cough racers!" She looked around and noticed there were no other ponies in sight! "Aw come on you guys! Wait for me!" She switched into her jogging outfit complete with neon blue running pants and red sweatbands for her legs and brow. "Time to get serious!" With that she took off like a shot! It wasn't long until the others were back in view. She made her way up to the side of a rather determined looking red pegasus mare. She bounded next to mare, flashing her a smile as she bounced alongside. "Hi there!" A leaf caught on Pinkie's nose and she blew it off. "Pretty serious race here huh?" She grinned with good humor.
' Well now, this was going to be a day to remember! This "Running" of the leaves was an event that had caught Taira's interest since he'd arrived in Equestria. It had been aged since he'd gotten to run in a good race, and it was the first time he'd get to run in one looking like this! The smell of the crisp autumn air filled the stallion's nostrils as he sampled this morning air, his exhalation producing a tiny bit of mist from his mouth and nose. Taira was already waiting at the starting line doing some warm up stretches, waiting for his competition to arrive... both the normal and abnormal. He couldn't help but notice a fluffy maned mare in the stands wearing a cheerleader's outfit. He'd seen that one in the company of Discord, most likely here to cheer on the chaotic lord in his first attendance. He gave a bright smile to the other racers as he waited his invited challenge to arrive. That first pair of ponies seemed to have quite a lot to talk about so he decided to leave them be and wish the others who popped up the best of luck. Even the red Pegasus with the growling face got a smile and cheerful word. Upon hearing that whistle, Taira scritched at his ear at the impressive volume. Seeing the others take off though he realized he should probably be moving to! He crouched down and then bolted of towards the rest of the group with impressive speed, leaving a cloud of dust in his wake!